Graduate Research Associate positions for Ph.D. or M.S. level studies and research in Bioprocess/Systems Engineering and Bio-Polymers are now available. 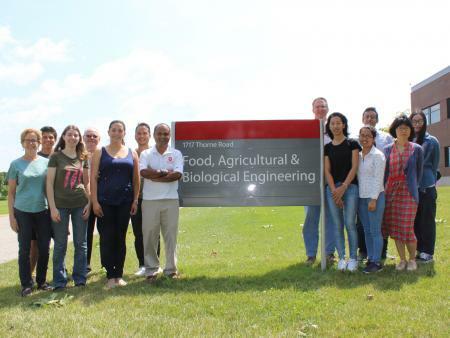 The Bioprocess/Systems Engineering positions will pursue research topics under the Biobased Systems Analysis Lab (BSAL), which uses biosystems engineering concepts and analyses to improve the sustainable production of food, fiber and fuel. Interested candiated can read more about the specific position summary and qualifications here. If interested, please contact Dr. Shah (shah.971@osu.edu) with a cover letter expressing your interest and background, CV, transcripts, and test scores (TOEFL and GRE). At this point, please just send the unofficial/scanned copies. Please note that we will give serious consideration to the candidates with GPA higher than 3.75; TOEFL score higher than 105 (for international candidates only), GRE scores higher than 320 with more than 4 in analytical writing, established publication record, and research background and interest in the relevant area. See more details at: http://u.osu.edu/bsal/. Anticipated starting term is May or August 2018, positions will be open until filled.